Donkeys, and Puppies, and Sheep, Oh My! 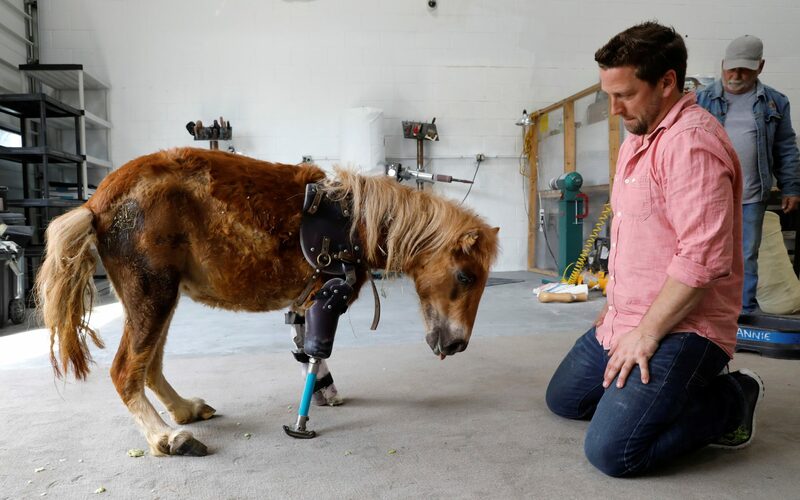 Derrick Campana, the President and CEO of Animal Orthocare, always dreamt of pursuing a career within the human orthotic and prosthetic field, but even he couldn’t predict the type of future he was about to endure. In 2005, a veterinarian walked into his office and asked him if he would consider making a prosthetic device for a dog, who sustained severe injuries before being left for dead on train tracks in upstate New York. Despite how strange it sounded, Campana accepted the challenge and his results were quite favorable. From there, he created Animal Orthocare in Sterling, Virginia. Campana also found success using a 3-Dimensional printer to design and create prosthetics in 3D. One of his most popular stories involves a dog named Derby who was born with a birth defect that took away his ability to walk on all four paws. Watch the video below for more information. Campana has dedicated 12 years of his life helping animals “live happier and healthier lives by giving them the gift of mobility.” What more could a puppy ask for? Learn More About Animal Orthocare.